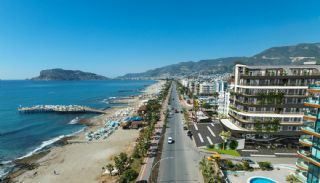 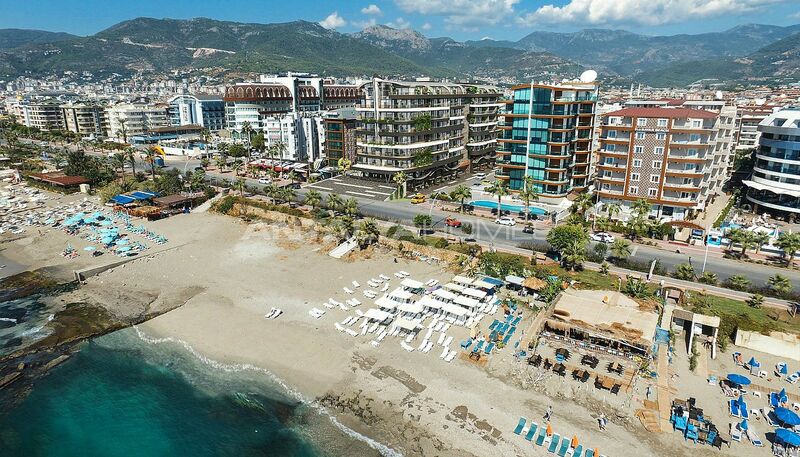 Sea and castle views apartments have a great location in Alanya, Oba. 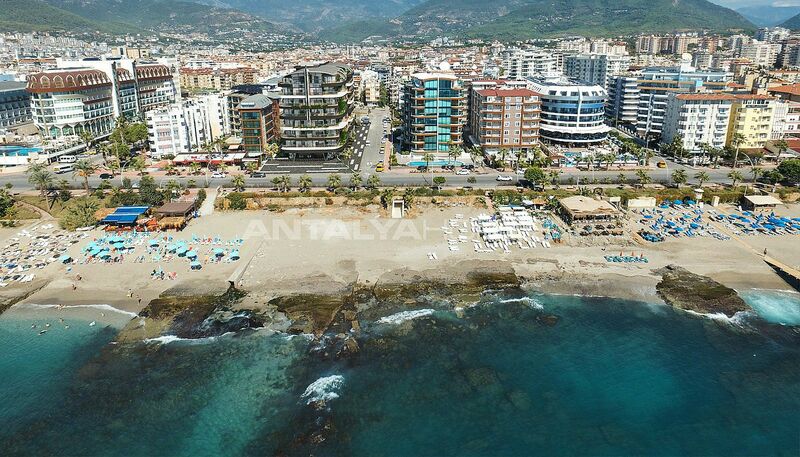 Alanya offers a beautiful climate, crystal sea, blue flag beaches, historical places, marina, nightclubs, restaurants and shopping malls. 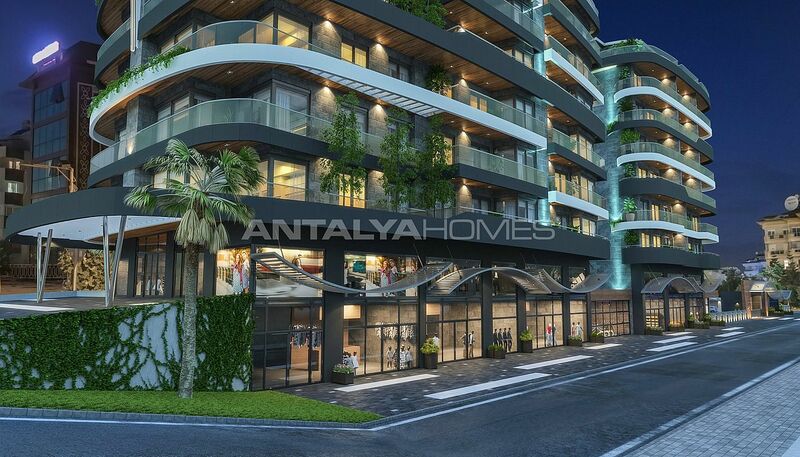 This region has drawn attention with its highly profitable investment advantage. 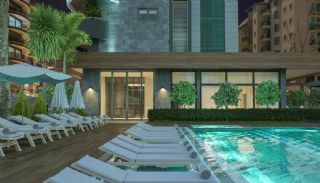 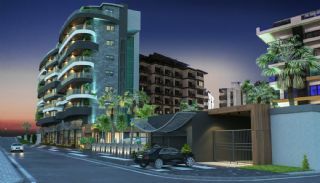 Modern designed apartments are walking distance to the beach, market, parks and other amenities. 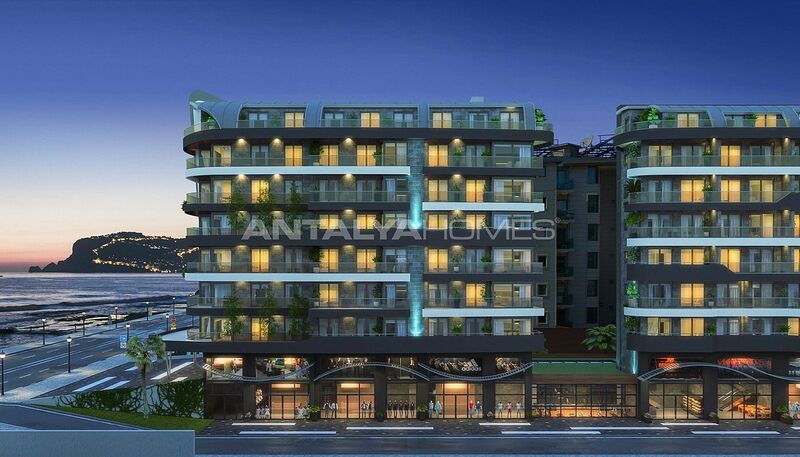 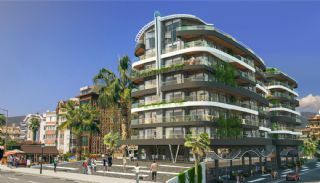 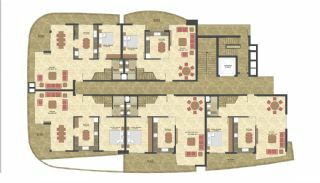 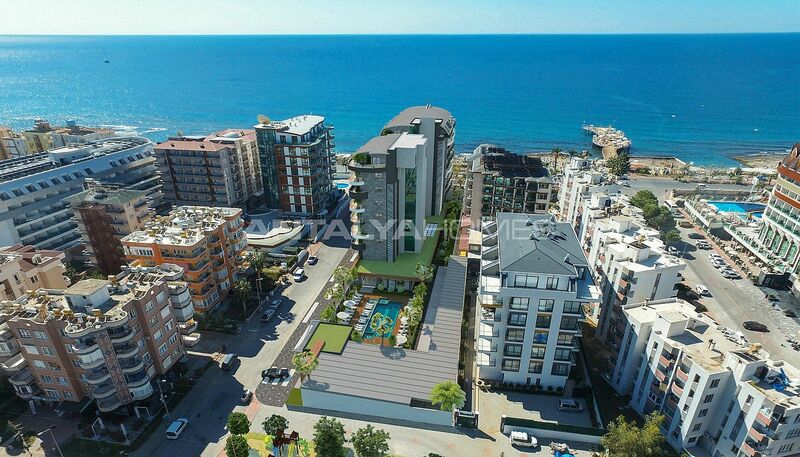 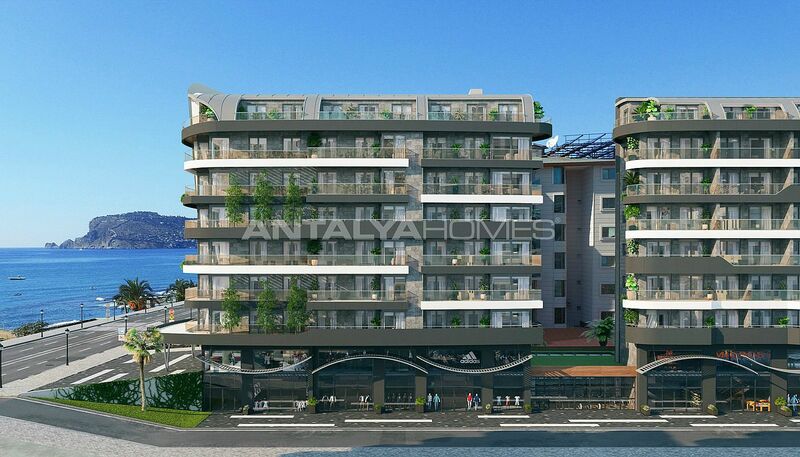 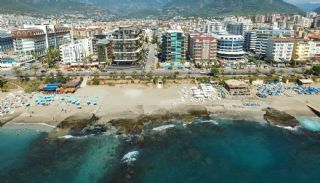 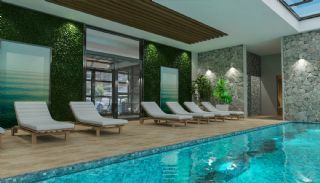 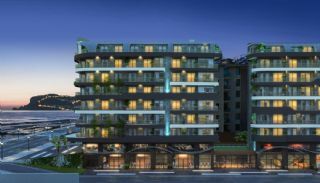 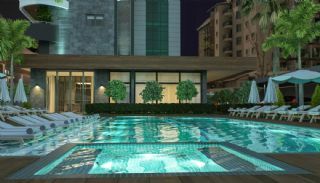 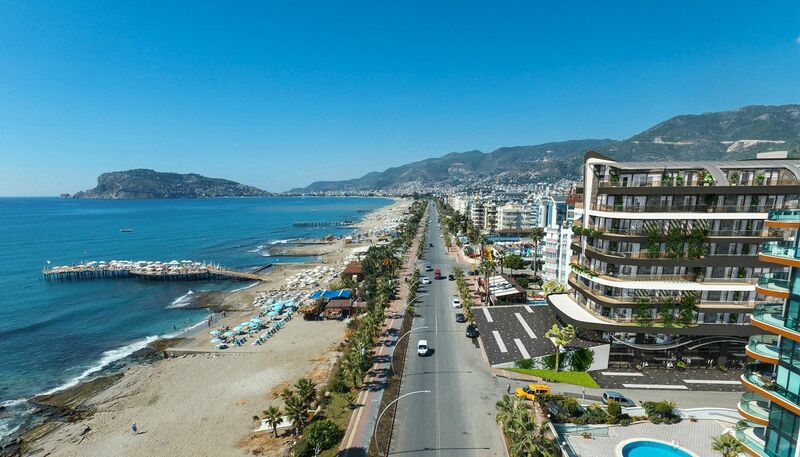 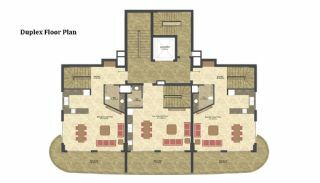 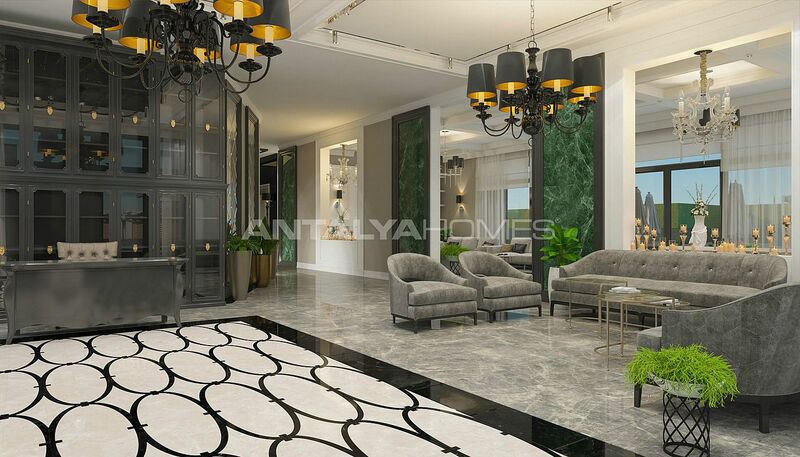 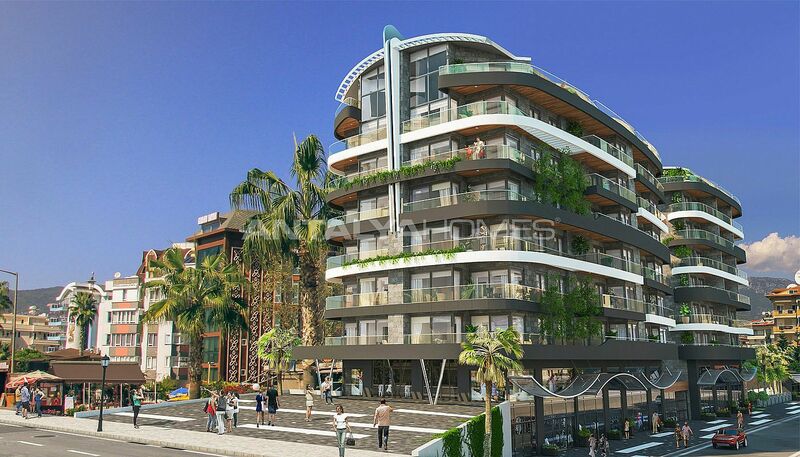 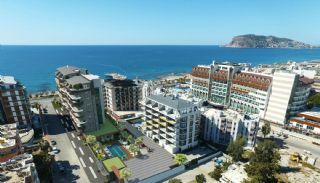 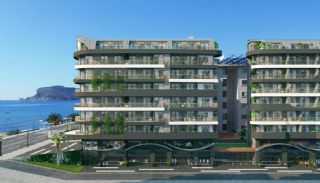 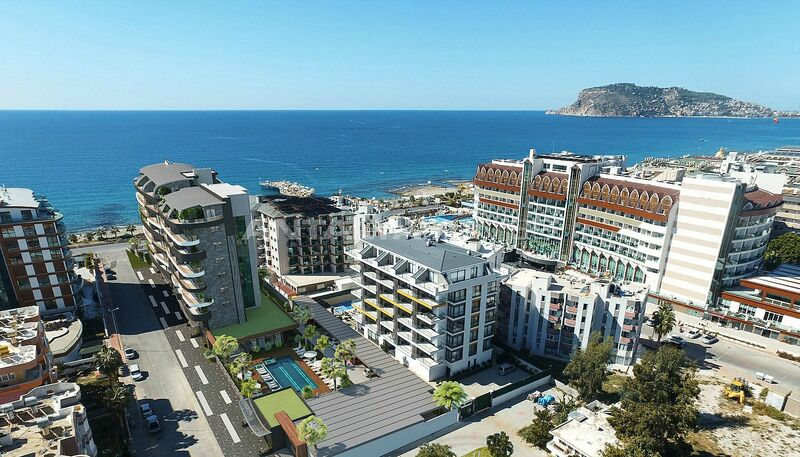 Apartments for sale in Alanya 100 mt to the beach, 36 km to the Gazipaşa-Alanya Airport and 130 km to the Antalya Airport. 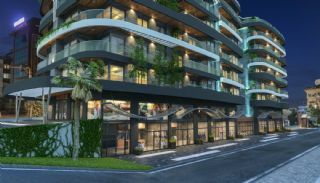 The residential complex is built on 4.700 m² land area. 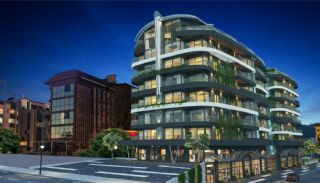 The complex has 2 blocks with 6 storey. 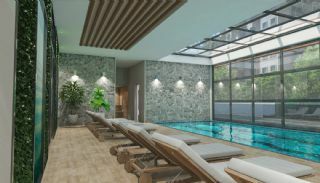 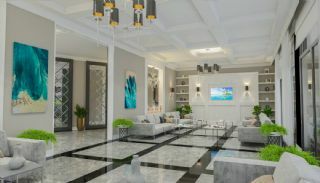 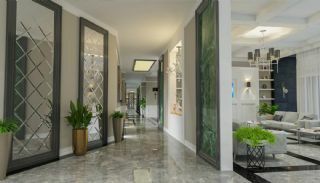 The complex has many luxury features like the swimming pool, 24-hours security camera system and security, Turkish bath, shock shower, massage room, steam room, sports center, children’s playroom, lobby, meeting & TV rooms, dressing room, spa, table tennis, barbeque area, children’s playground, elevator, car parking area. 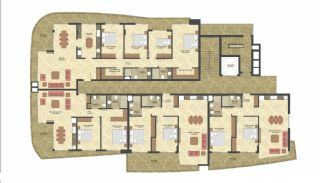 2 bedroom apartments are 135-140 m² with a living room, an open-plan kitchen, a bathroom, an en-suite bathroom and a spacious balcony. 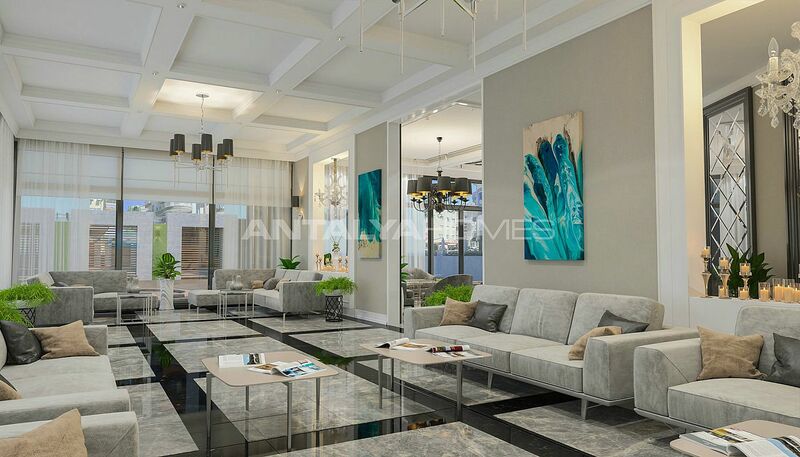 3 bedroom duplex apartments are 208-229 m² with a living room, an open-plan kitchen, a toilet, a bathroom, an en-suite bathroom, a balcony and a terrace. 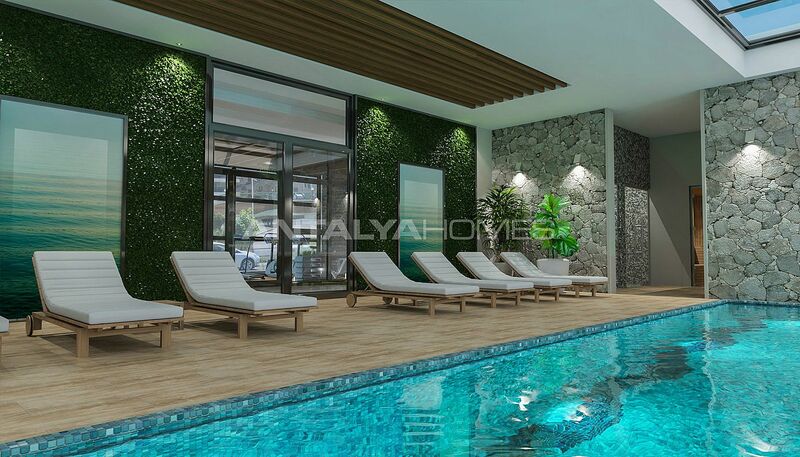 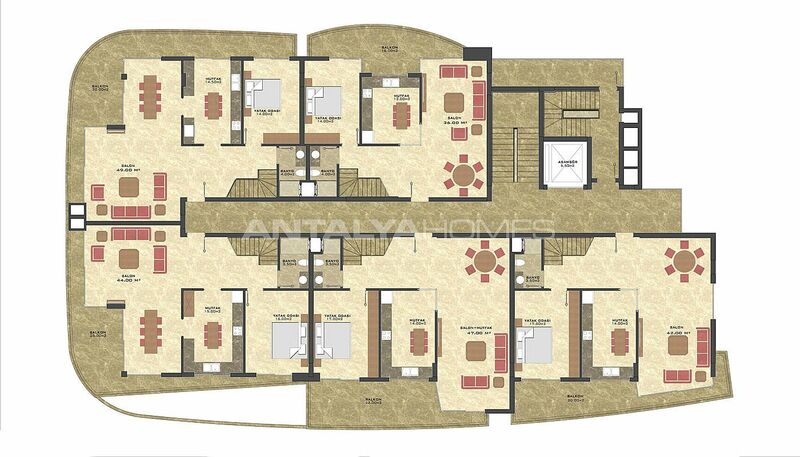 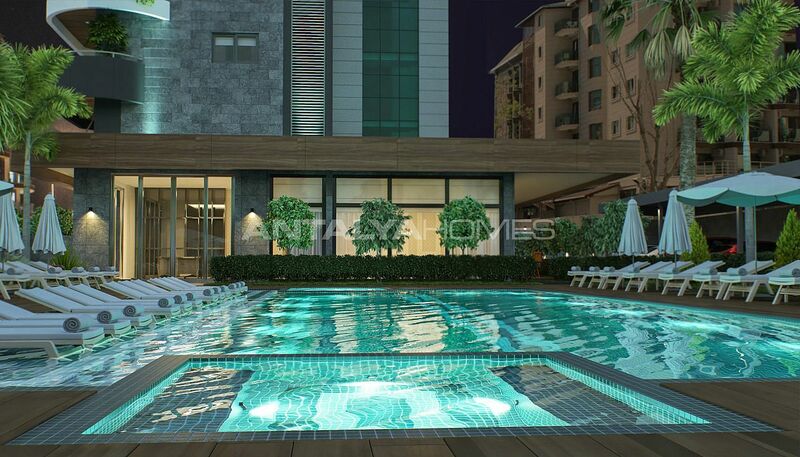 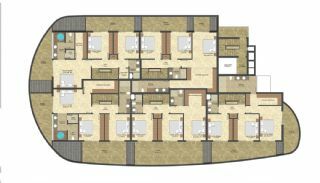 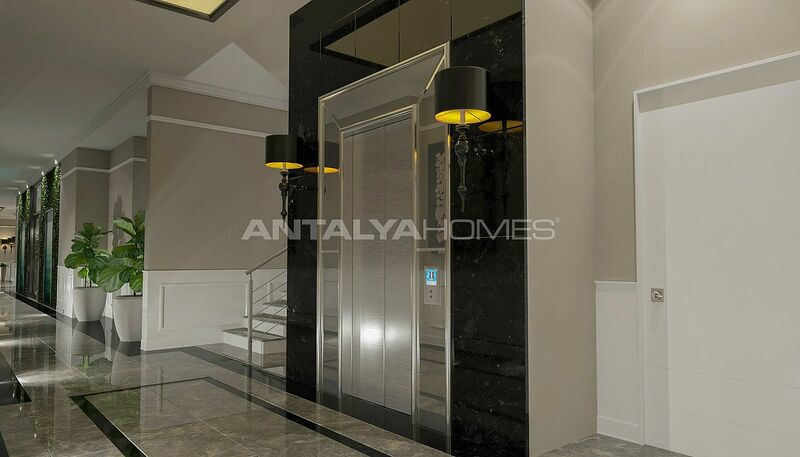 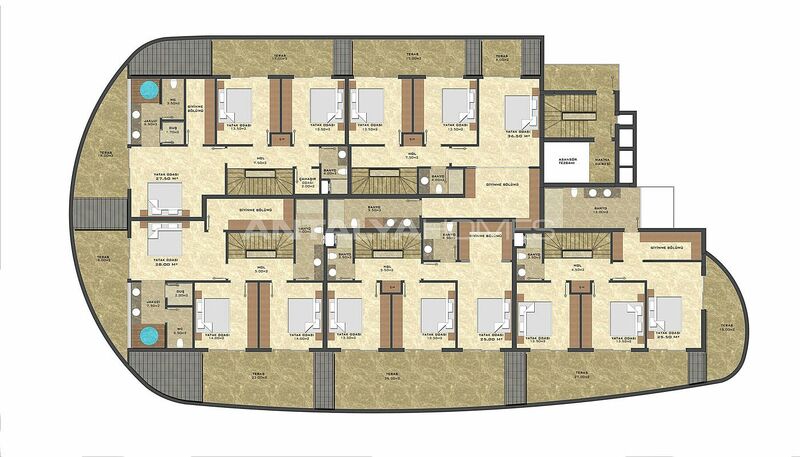 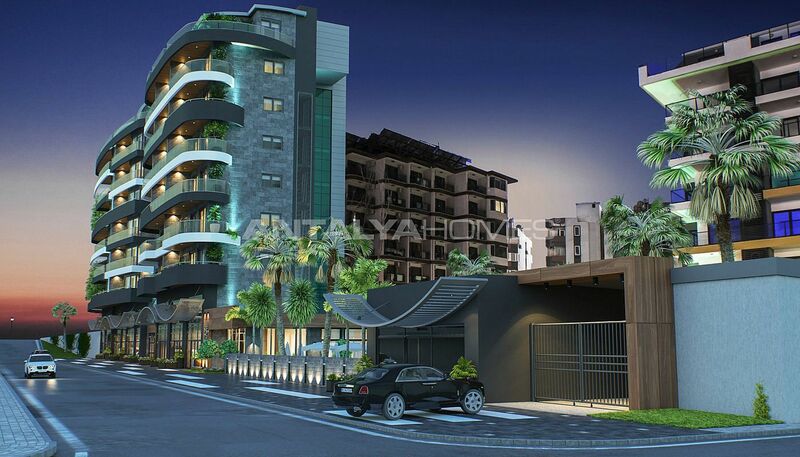 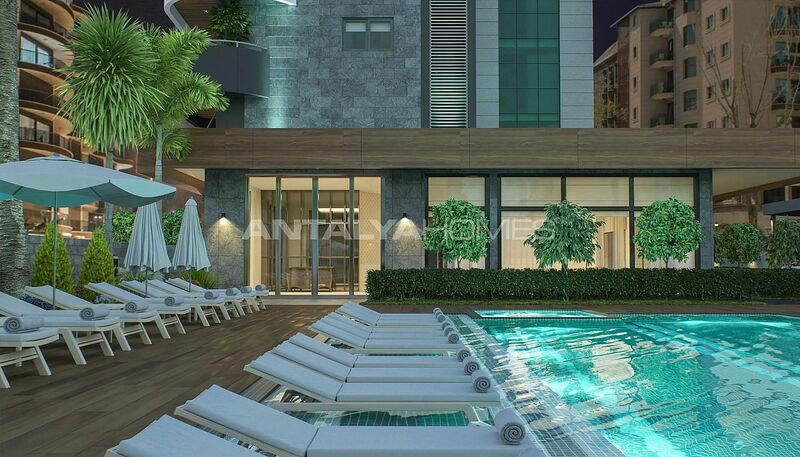 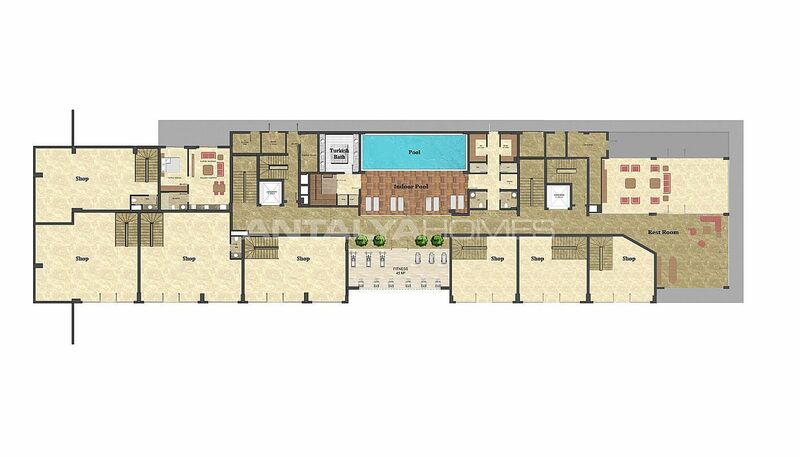 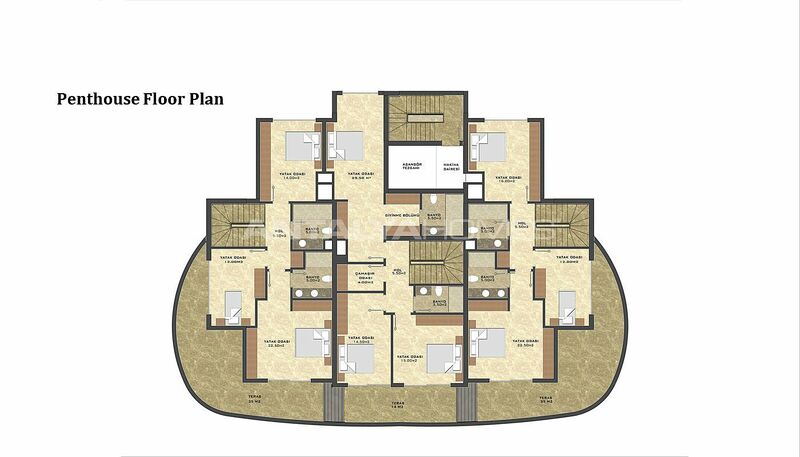 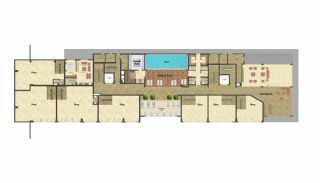 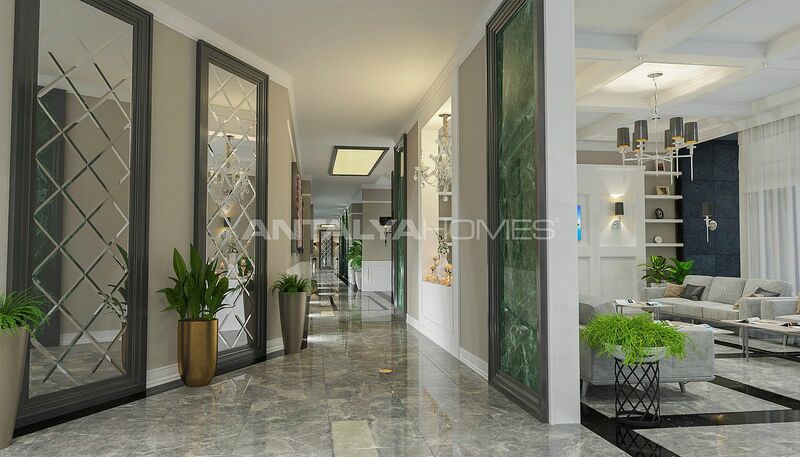 Alanya apartments have ceiling heights of 3.5 mt and large balconies. 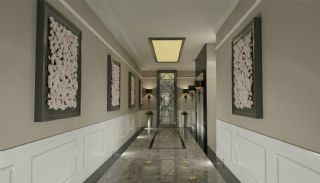 Also, apartments are equipped as considering the finest of details. 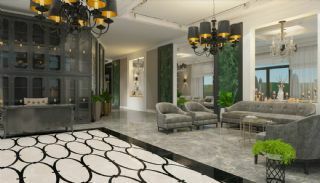 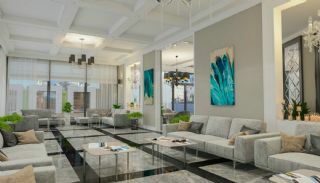 Apartments have wi-fi internet connection, steel door, air conditioners, water heater, double glazing Windows, inset spotlighting, modular fitted kitchen and cable TV system.